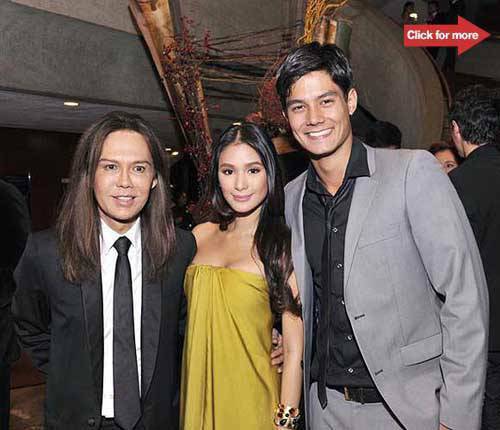 Heart Evangelista, Gretchen Barretto, the Zobels and more celebrate Inno Sotto’s 30 year-success. The designer and his Muse for the show. Click for more photos. 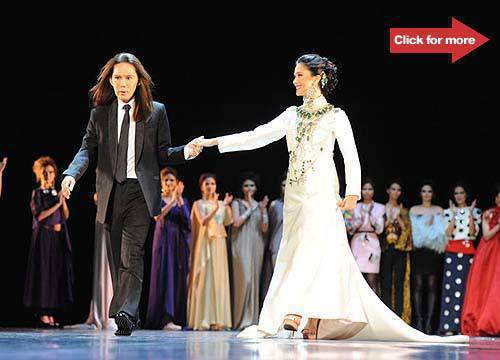 Fashion designer Inno Sotto celebrated his 30 years in the business via a grand gala entitled "Thirty. Twenty.Ten" at the Main theater of the Cultural Center of the Philippines. With actress Heart Evangelista as his muse for the show, Sotto’s creations in pure silk, satin, chiffons, lightweight jerseys and silk crepe fabrics were showcased on the runway by Manila’s top models including timeless faces Tweetie de Leon-Gonzalez and Marina Benipayo. 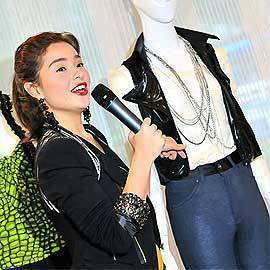 The collection, dubbed "Muse," is Sotto’s ready-to-wear line available only at Rustan’s. Says Sotto, "The clothes are contemporary and luxurious pieces, inspired by East China and India." 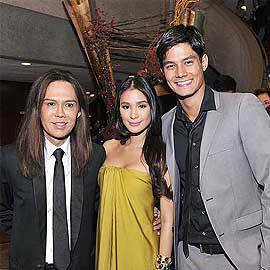 Inno Sotto with muse for the night, Heart Evangelista with Daniel Matsunaga. Click for more photos. Hosted by Imelda Conjuangco, Lizzie Zobel and Zenaida Tantoco of Rustan’s, the gala was attended by Manila’s most fashionable set and celebrities including model Phoemela Baranda, actress Gretchen Barretto, broadcast journalists Karen Davila and Korina Sanchez, Rima Ostwani, Audrey Tan-Zubiri, Preview Magazine editor-in-chief Pauline Juan and Bea Valdes.